Hello, I am a mother of two children who were born on March 10, 2014. Irina and Yegor are our long-awaited kids. They were born prematurely (at 32 weeks). The birth was difficult. Both babies were placed in intensive care. The girl was more resilient and recovered after 1.5 months. 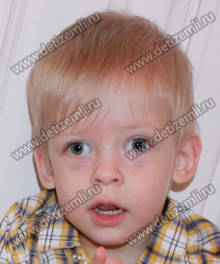 But Yegor has been on a ventilator for a month, had heart surgery, spent a month and a half in intensive care. As a result of severe hypoxia his brain was affected. 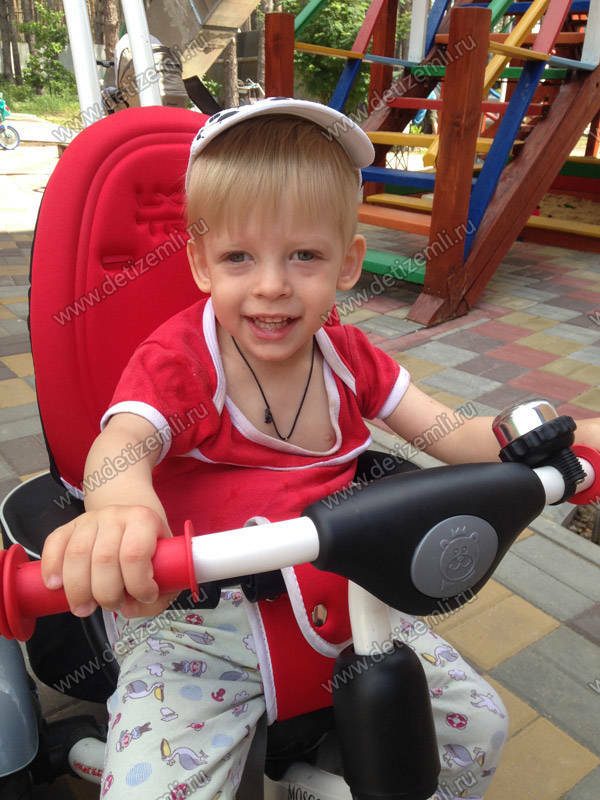 Yegor urgently needs to undergo clinic treatment which costs 122,440 rubles. Help a sick child! 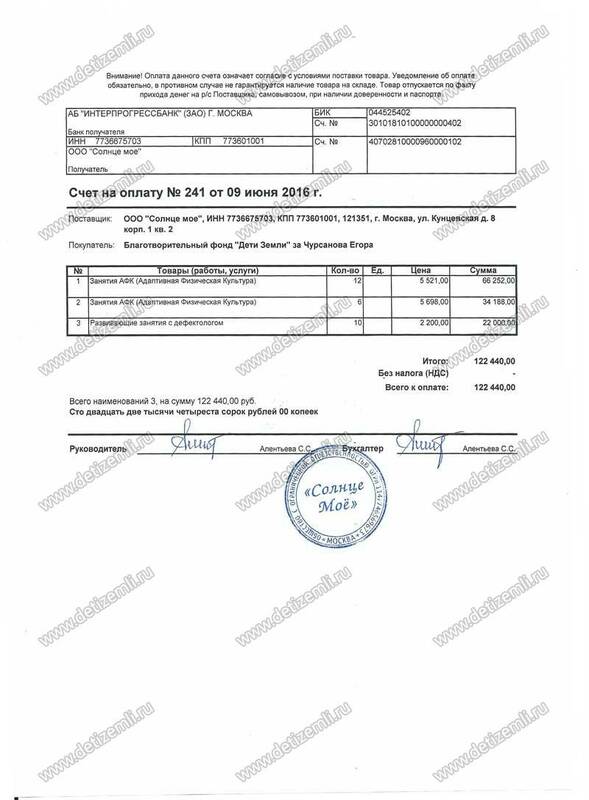 Collected 122,440 rubles for treatment. Charitable Foundation for children «Children of Earth» is sincerely thankful to our long-time donor v. E. Smirnov for his help and support in collecting donations for sick children. 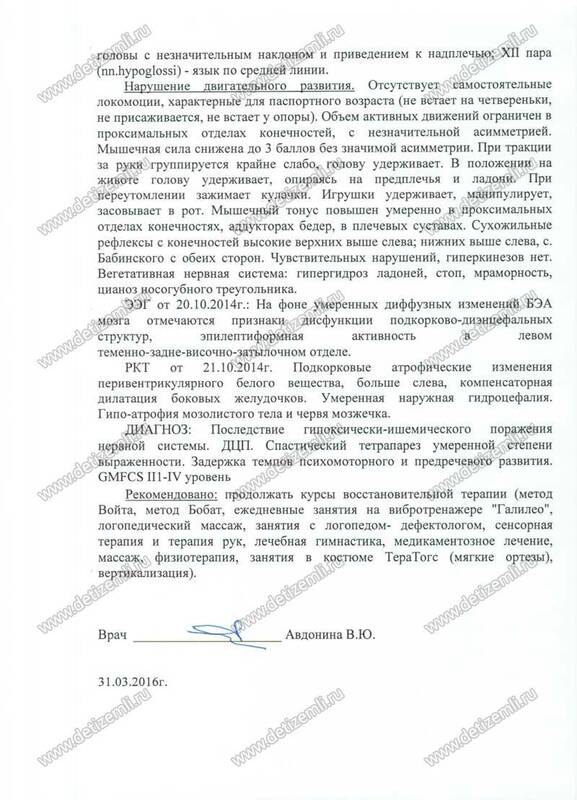 Fundraising for Yegor Chursanov is closed. The treatment has been paid for. Charitable Foundation for children «Children of Earth» asks for help in collecting donations for the treatment of a sick child. 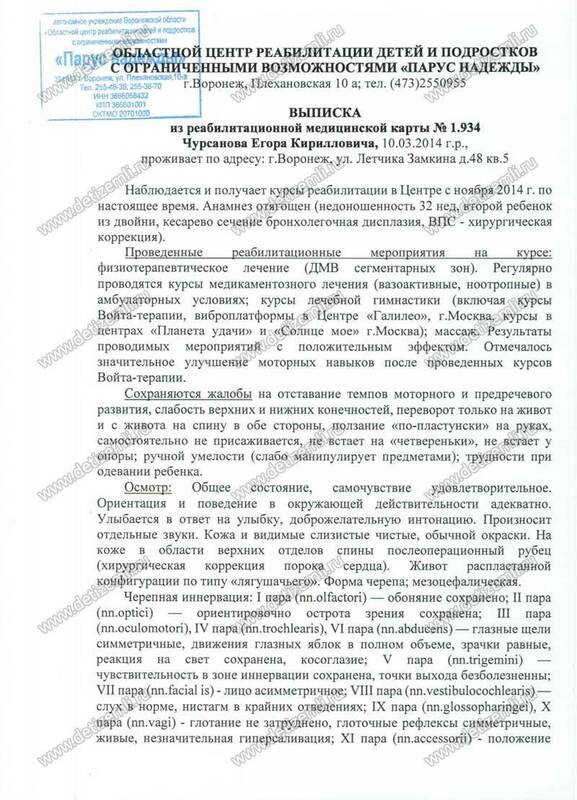 Yegor needs 122,440 rubles for his treatment. Help a sick child!